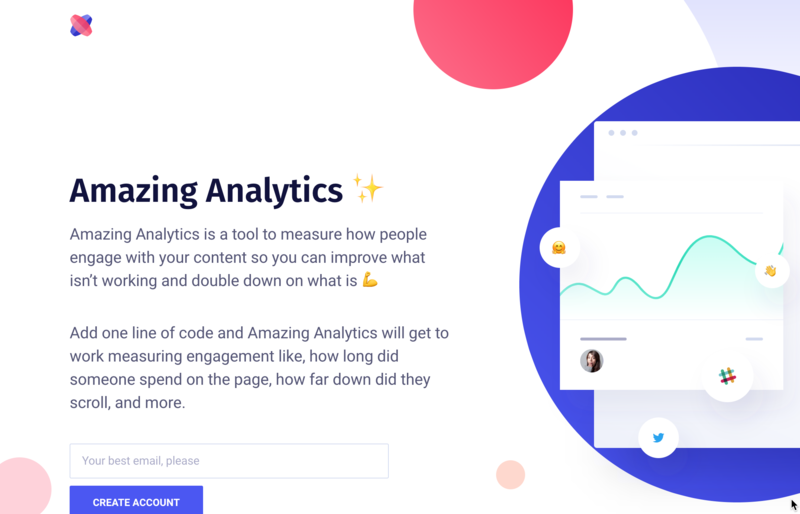 Add one line of code and Amazing Analytics will get to work measuring engagement like, how long did someone spend on the page, how far down did they scroll, and more. 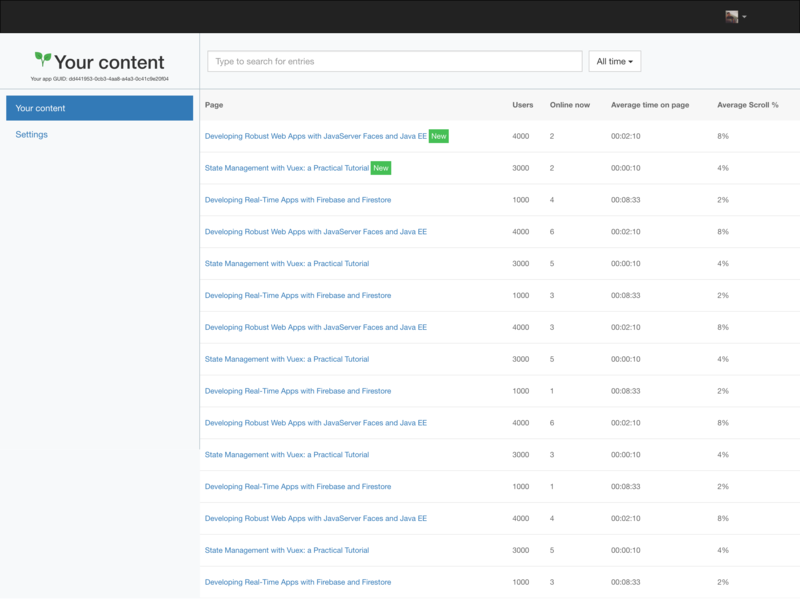 Easily share metrics with your team. Raise investor funding like a pro.